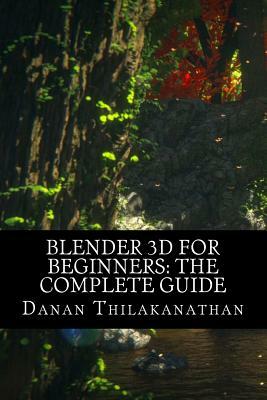 1Blender 3D For Beginners: The Complete Guide aims to help get you started with using the free open-source 3D software Blender. You will learn the basics of nearly everything Blender has to offer. The book is aimed at the complete beginner of Blender and even beginners in the world of 3D graphics and animation. With 16 chapters and 115 pages in total, this book aims to explain the key components of Blender clearly and concisely and get you up to speed with Blender very quickly The book is explained in a simple and easy-to-understand manner with minimal jargon. Furthermore, the book provides simple follow-along exercises that helps you get the practical experience you need which in turn helps you learn better. By the end of this book, you will begin to feel comfortable working with 3D projects within Blender alone and also get one step closer to your dream goal of one day making your own animated film (or any other project that requires Blender) More specifically, in this book, you will learn about: - The Blender user interface - Navigating your way around Blender - 3D Modeling basics - Cycles shaders - Texturing and UV mapping - Lighting (as well as some basic lighting setups you can use right away) - Sculpting - Animation - Particles - Physics - Rendering - Using Blender as a Video Editor - Compositing Subscribe to the email list at ThilakanathanStudios.com to receive regular Blender for Beginner tutorials for free.